Be the first to share your favorite memory, photo or story of Terance. This memorial page is dedicated for family, friends and future generations to celebrate the life of their loved one. 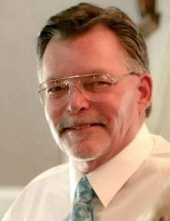 Terance "Terry" Lee Hursh, 65, of Willis, Texas, went to be with the Lord Wednesday, January 30, 2019. He leaves behind his loving wife and best friend of 39 years, Debbie Hursh; daughter, Heather Barge and husband Scott; son, Noel Hursh and wife Racquel; his pride and joy granddaughter, Jayd Hursh; beloved Honeydog; along with many other family and friends. A Sunset Celebration of Life will be held Monday, February 4, 2019 at 5:00pm at the Seven Coves Club House, located at 7021 Kingston Cove Lane, Willis, Texas 77318. Flowers can be sent to 6826 Stillwater Drive, Willis, Texas 77318. The family would like to give Thanks to the EMS, nurses, doctors, and staff of Conroe Regional ER and ICU departments for their exceptional care of our father/husband during this difficult time in our lives. To send flowers or a remembrance gift to the family of Terance "Terry" Lee Hursh, please visit our Tribute Store. Please have any floral donations sent to 6826 Stillwater Dr., Willis, Texas 77318. "Email Address" would like to share the life celebration of Terance "Terry" Lee Hursh. Click on the "link" to go to share a favorite memory or leave a condolence message for the family.